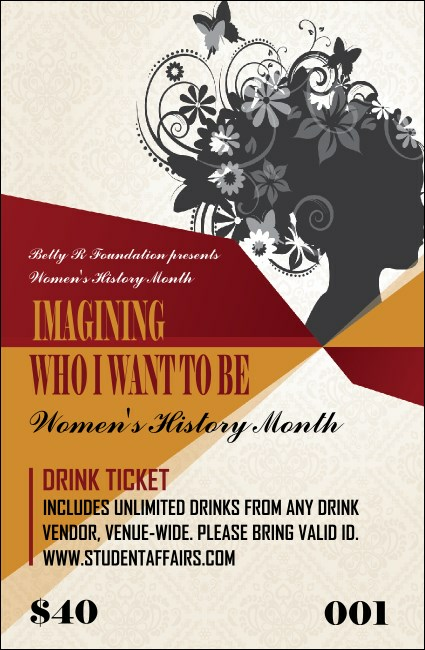 Celebrate Women’s History Month with a big cheers to women all over the world when you give your guests Women’s Expo 3 Drink Tickets at your next female-friendly event. With sequential numbering for security and a red, white and gold background design, these tickets will help your event reach its peak! Find the ticket that brings out your femininity at TicketPrinting.com.